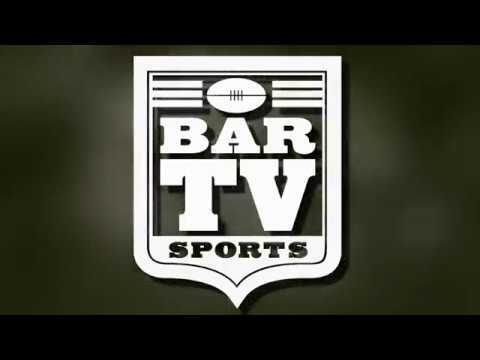 The St. Petersburg Swans made a valiant second-half effort to scratch their way back in, but couldn’t overcome a 75-point deficit to a suddenly surging StarfishFC side, falling 23.4.142 – 13.0.78 in Saturday’s ‘Battle of The ‘Burg’. In a breakout performance, Ben McIntosh debuted for StarfishFC (1-2, 4pts) with an astounding 11 majors, seemingly taking sole control of the proceedings, as the ‘Fish posted a 10.1.61 second quarter outburst that saw the previously unbeaten Swans (3-1, 12 pts.) on the mat at the big break. In the competition’s highest-scoring match of the year – and the highest total points scored in any match in St. Petersburg Swans history, the outpouring of goals for StarfishFC in the second frame was just too much to overcome. Also making his first appearance, Eric Sarlo added four goals for the blue and gold, while Jason Blackbourn led the Swans with five. The astounding tally on the day puts McIntosh into the league scoring lead, as his 66 points now leads the Miami Saints‘ Neil Cohen by two points. Blackbourn leads all Swans scorers with 50 points on the season. 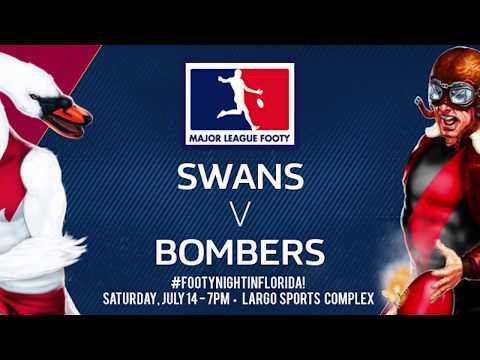 MAJOR LEAGUE FOOTY WEEK SIX will see the Tampa Bay Bombers side debut, as they face off with Orlando in a matinee match, 11 AM on May 19. The match will follow a combined training session at the Common at Crescent Lake in St. Petersburg. The St. Petersburg Swans will next take the ground on June 2, when they host the visiting Miami Saints.